With its recent history of mediocre handsets, LG needs something other than the Optimus G to be its Hail Mary that can carry it to the top. 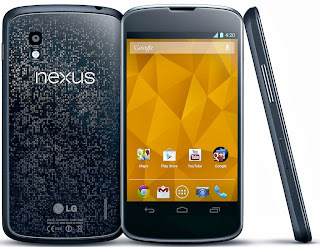 Unfortunately, the Nexus 4 isn't quite it.Don't get me wrong, the device itself performs excellently, and some of the specs are certainly impressive: the quad-core CPU is swift, the Jelly Bean Android OS runs as smooth as butter, and all the subtle new features work well without being too unintuitive or burdensome.But Google's flagship phone is missing one huge feature that caught us all off guard. The Nexus, which is supposed to represent Android in its most modern, so-high-tech-that-it's-on-the-bleeding-edge form, isn't 4G LTE-enabled. 1. Build Quality: This is without a doubt one of the most comfortable phone. It's glass front and back sandwiching a smooth grippy edging makes for one enjoyable handholding experience. It's not too light and not too heavy. It is a little wide if you use a bumper, but on it's own it feels really good in average to large-size hands. The curved front is extremely smooth and once you swipe across it a few times, you will never want to go back. It's that good. I will say though that the phone gets HOT when downloading a lot of videos, and gets pretty warm when playing games for an extended period of time. If the back were made out of plastic it would be less of a problem- I guess you are trading off practicality for elegance that situation. The faint checkered back breaks up the "black slab" appearance of the phone, and looks good, but it's not a game-changer. With the glass back, the tapered edges, and the grippy sides, you'll be tempted to NOT own a case. This is one elegant phone! Just don't drop it. Glass breaks. 2. Android 4.2 - Enough has been said about Android. If you're looking at this device, then you probably already know that this OS is the most flexible, and powerful OS around. The difference is that you get fast updates vs. other Android phones, and it is VERY stable and crashes less than any other phone. The phone is extremely smooth and I have yet to see lag, even with multiple widgets on several screens. . 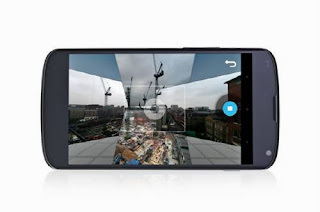 Even though Photosphere panorama is cool, you won't find yourself using it much. Google Now is a really useful tool once you have it set up correctly (it can seem to read your mind), and the new camera filters and editing options are awesome. I think they dropped the ball with the lock screen widgets since you can only set up 1 per swipe/screen, and very few widgets are actually supported. Facial unlock is super-fast now and it can be your preferred way of securing and unlocking your phone. The clock app is greatly improved with adding back the timer and stopwatch that were missing from previous builds. You can even set world times. The quick setting shade is NOT as useful as just dropping a toggle widget on the screen, but some people may prefer the option. Android 4.2 is smooth and buttery. The stock calendar app & widget blows every other calendar app and widget out of the water. 3. Cameras- The camera is decent. Even though it is 8mp shooter, the pics come out grainy and not much better than the Galaxy Nexus. Video looks good and the audio recording sounds solid. The front facing camera under performs significantly- even though it is 1.3mp. One bug that is still there is if you have a Picasa account set up and a Google Plus account, it will duplicate photo folders pretty horrendously. That's more Android's fault than the camera, but it is a unique problem for Nexus phones. I'd say pictures taken on the N4 are at best 20% better the Galaxy Nexus. 4. Speaker- The speakerphone sounds pretty good. It still has that tinny smartphone sound with a lack of bass, but that's par for the course. It's much louder than the Galaxy Nexus. Calls sound crisp and clean. 5. NFC- I'm just now getting into using NFC. Radioshack, Macy's, Old Navy, OfficeMax and many other stores can take Google Wallet's "tap and pay" service. What I think you will get more millage out of is by using NFC tags. You can get them on Amazon. Basically you can set up spots in you home/car/work where you can tap the phone and have useful profiles activate. If another family member or friend has NFC, you can easily share stuff by holding the phones together. It's MUCH faster and efficient than "Bump" and bluetooth. 6. The screen- The screen is absolutely gorgeous! It is bright and colorful. Very accurate images. Since it is a 720p 320ppi screen, you have to stare very closely to see any pixels. Basically, you need a microscope to see any jagged edges. Letters are extremely sharp and clear. The only issues are that if you are coming from an AMOLED phone like the Galaxy Nexus, the blacks aren't nearly as deep and you will notice it. Also, the screen gets washed out a bit when viewing from the side, rather than maintaining contrast. 7. Battery life- The phone will last you a day with light use (quick use of apps/widgets and plenty of texting/Facebook, with live wallpapers ON), 9 hours with moderate use (a few calls, some extended app use, and a GPS mapping trip), and 5 hours with heavy downloading, photo taking, and gameplaying. Better than the Galaxy Nexus. 8. Multicolored Notification light- Good in theory, but Android doesn't use it well and the LightFlow app is still not reaching it's potential. 9. HSPA+ 42- This is a 4G phone. On T-Mobile this phone flies, and downloads at speeds 6 times faster than what you would get with a 3G phone. You will get an average of 12mbps and higher in good reception spots. That's fast enough to download most apps in a couple of seconds, and to play 1080p HD video with no lag or stuttering whatsoever. Is it as fast as LTE? No, but depending on where you are, it can be just as fast, with no additional battery drain. 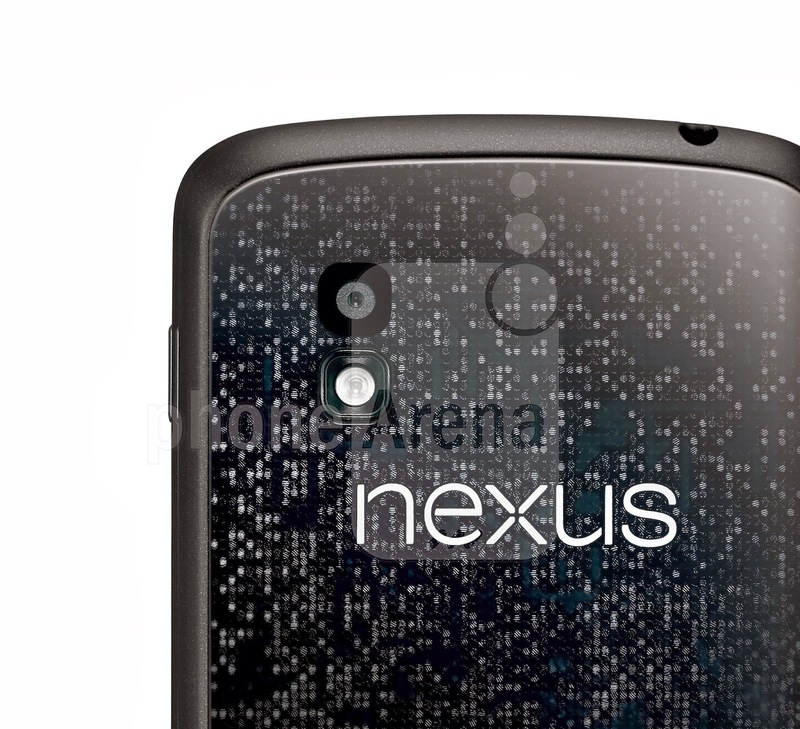 Also, the Nexus 4 has an LTE antenna which can use T-Mobile's AWS bands when they are repurposed for LTE this year (2013). That won't help you if you are on ATT, since ATT uses a different frequency for their LTE. When T-Mobile lights up LTE in your city, Google "Configure Your Nexus 4 for LTE Access Point" and you'll have access to their LTE. The bottom line is that it's not a perfect phone, but the phone is amazing regardless, and the best phone on the market right now. The only thing I miss is the lacking expandable memory of phones like the GS3.